Recently Reader's Digest came out with a horrible article about exercises. We'd link it but trust us it was terrible. Why? Because it vilified movement and exercise based on opinion NOT science. The idea that any exercise is bad is a deeply flawed one and does MUCH MORE HARM than the actual exercise. In reality, exercise comes down to capacity. The likelihood of injury (according to research) is often minuscule. In other words, the benefits FAR outweigh the negatives. 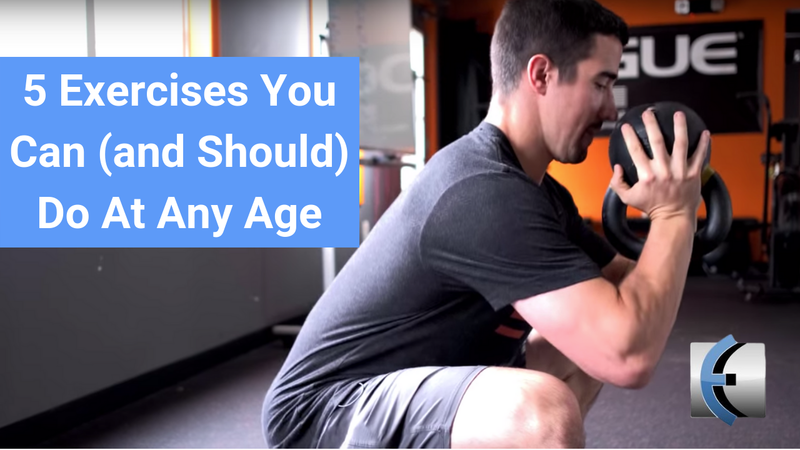 So here are 5 exercises you can (and often SHOULD) do at any age.